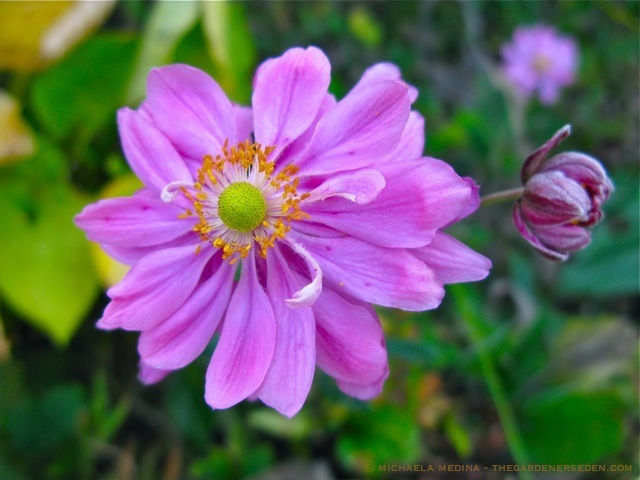 § 4 Responses to September’s Soft, Autumnal Serenade … The Beauty of Japanese Windflowers"
And the bees love them! 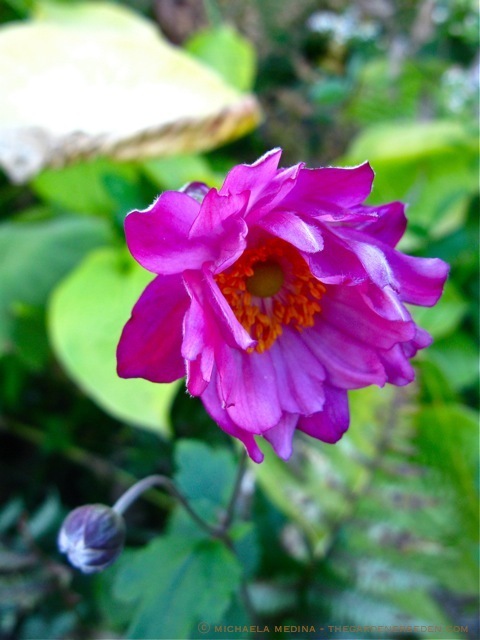 My favorite is anemone ‘Robustissima’ for its silvery buds, so pretty. On mine the flowers are lovely, but the plant foliage remains a small lump of a mound, not the big garden plant I was expecting (too much sun?). Can I ask about your lespedeza from an earlier post? I planted ‘Edo Shibori” and love it! Do you cut yours back to the ground each year or let it stand? @ Polly – Indeed they do; particularly the single flowered types! @ Laurie – ‘Robustissima’ is indeed lovely. If your plant is still young (under three years) then perhaps this is why it remains a bit small. Otherwise, I would be most apt to wonder about the soil. They do prefer some protection from mid-day heat, but that should not affect size so much as quality of leaf (the hot, mid-day sun tends to scorch the leaves and make them less attractive). On Lespedeza pruning: Yes, I cut back both my ‘Edo Shibori’ and the ‘Gibralter’ in very early spring. I take them way back —within 5″ of the ground— as I would Buddleia davidii or a rangy Spirea. In warmer climes, I might be less aggressive. But here, there’s much die-back and I find the plant has a more attractive shape and produces most blossoms when aggressively pruned in early spring. You are currently reading September’s Soft, Autumnal Serenade … The Beauty of Japanese Windflowers at The Gardener's Eden.